My dearest Vavo you are so missed by so many. Mary Gonsalves Fasso On January 24, 2012, after 97 glorious years on this earth, Mary Gonsalves Fasso passed away, while surrounded by her loving family. 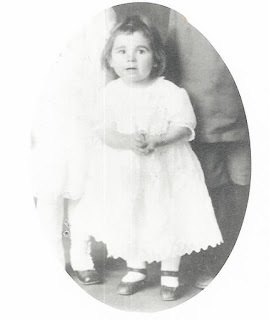 Born October 2, 1914 in Hanford, CA to Portuguese immigrants Manuel and Maria Gonsalves she was the third born of seven children. She was preceded in death by her mother and father, husband Franklin J. Fasso, brothers, Frank Gonsalves, Pete Gonsalves, Ed Gonsalves, Rolland Gonsalves, and sister Aldean G. Simas. Mary is survived by her sister Deloris J. Gonsalves of Hanford, two daughters and their husbands of Tulare, Nonnette "Nonnie" Fasso Rhoades and her husband Richard, Suzette Fasso Smith and her husband Jay. 11 grandchildren: Kelly Rhoades of Hanford, Eric Rhoades of Visalia, Bryan Rhoades of Tulare, Paul Rhoades of Hanford, Scott Rhoades of Tulare, Kirt Rhoades of Tulare, John Campbell of Tulare, Suzohne West of New Orleans, Wendy Harbaugh of Utah, Joseph Smith of Tulare and Jaynette Smith of Tulare; 25 great-grandkids, 18 great-great grandkids, and many, many nephews, nieces and cousins in the Tulare, Lemoore andHanford areas. Mary attended Hanford High School graduating in 1931, after that she continued her education at the College of Sequoias in Visalia where she met her husband and was married for 60 years making their first home in Tulare. Mary was always a supporter of the arts finally deciding that she would get an education in Horticulture and Floral Design. After her completion of a design school in Los Angeles, CA she decided to open her first store front in Tulare, CA in the year 1939. After running a successful flower shop in Tulare for six years, Mary, Frank, her brother, Pete Gonsalves and his wife Virginia opened, in 1945 Gonsalves-Fasso Flowers, where it still stands today, family owned and operated for over 67 years. Eventually, later in that same year Frank and Mary switched jobs, Frank ran the Tulare store until 1976 and Mary came and stayed in Hanford where a community grew to love her. Well known for her hard work and dedication to her artistry. It was never a job but a love for what she did. Mary became very active in all aspects of the community. The First St. Aloyisius church dinners were held at her home. She was a charter member in both the Tulare and Hanford chapters of Soroptimist International. She was also, a charter member of more than one garden club. She was a member of the Catholic Daughters Association, the Sequoia Kennel Club, UPPEC and SPRSI and many others. She was honored by Franklin D. Roosevelt and received an accommodation from him being instrumental in the bringing of the first iron lung to the San Joaquin Valley to the Exeter Hospital all while being active through the March of Dimes. All the above mentioned activities never stopped her from a continued education. She is remembered for going to college even in her later years always wanting to further her knowledge in her industry and passion, floral design. She was a Master designer and Certified Flower Judge, and was asked to go to Washington and decorate the White House one Christmas, but turned the honor down. She was an F.T.D. advocate and brought Florist Transworld Delivery to this district in about 1948, where through the years she and her husband sat on many F.T.D. boards and qualified many shops to belong to F.T.D. In the 1960's and 1970's she helped decorate floats for the Rose Bowl Parade. In 1977 and 1978 she was a judge in the Floral Fantasy Ball, (you may remember it as the huge floral head dress pieces in the news). In 1987 she was a member of the Florist Advisory to the College of the Sequoias and that same year she did a floral seminar at the California Farm Equipment Show. She received both her 25 and 50 year awards with F.T.D. She traveled all across this country going to many F.T.D. functions and conventions and was very respected by her peers and the industry. In 1985 F.T.D. was no longer florist owned and she said at that time, "F.T.D. would never be the same." Though the passion she had was obvious in her work. She even had a larger passion, it was we, her family. She would work all day, but never came home to neglect a single need any of us had. She always made sure that Christmas and Easter were fun and taught us not to forget the real Christian meaning behind them. She never forgot a birthday because she wrote them all on her calendar. If you made her junk mail list you were very special. Each and every one of our homes adorn home made wood art of some kind, hand made by our VaVo. She had many names, "Mom," "Sister," "Aunt Mary," "Granny Goose," and "HoHo," but none as respected, and said by all, as "VaVo." ….She touched our soul and things will never quite be the same. There will be a Rosary and Mass combination at 11 a.m., Tuesday, January 31 at St. Brigid Catholic Church in Hanford. Burial to follow at Calvary Cemetery. Arrangements under the direction of Whitehurst-McNamara Funeral Service. I am so sorry to hear this. I have lost a few people who were/are very close to me. I imagine them together in heaven, having a cuppa together watching me and having a few chuckles over silly things I've done or shedding a few tears when times have been rough. I know that she'll be missed by you but she'll always be in your heart. A wonderful lady, and a beautiful legacy. Our hearts are with you and your family! I'm so sorry to hear about your grandmother. She sounds like a wonderful lady.